Just like pumpkin spice flavors everywhere making women of all ages unable to even, Halloween is infecting our virtual worlds, but in a far less yoga pants inspired sort of way. This time, I won't be covering any games by Sony Online Entertainment, because they got their very own article for Halloween in SOE virtual worlds. If you're interested in the games I've already covered,, you can check out Part One here. In addition to new games getting added to the list in Part Two, I'll be adding in a Webzen-centric area, as well, since they sent out a press release for Halloween celebrations across their games. Masthead Studios announced that their shooter ZMR will have two different events to celebrate both Halloween: Guns and Robots. A Trick Or Treat Competition will let players have a chance to obtain the Witch Bow, as well as Halloween masks and sparks. The actual Guns and Roses event will allow players to “be able to win spooky presents and experience the fun of smashing pumpkins and hunt down enemies.” During this time, Masthead will also be hosting a variety of giveaways on the official Facebook page for Zombies Monsters Robots. Hallowtide is upon us in ArcheAge, Trion's latest venture. Not only will Hallowtide be the first Halloween celebration for ArcheAge, but the first holiday celebration, as well. Both of the major port cities of Erenor, Austera and Ezna, have been decked out in holiday decorations, some of which can grant a holiday buff. Players can collect pumpkins out in the world to turn in for daily quests, where they can earn Hallowtide Goodie Bags full of goodies. Players can also collect appearance gear and housing decorations from the Marketplace. Archlord 2, October 21 – November 11: Players can obtain Witch’s Pumpkin Cookies in dungeons and contested zones. They can be handed in fifty at a time to 'Jack O' Lantern in exchange for a 'Jack O' Lantern Box, which will grant a random buff and illusion when opened. Logging in daily will also allow players to earn Mysterious Pumpkin Seeds, which can be turned in seven at a time for Pumpkin themed hats. MU Online, October 28 – November 11: Hunt down the Jack-O-Lantern to collect the pumpkins it drops, which can be smashed down like a pinata for goodies and buffs. Defeat Fire Flame Ghost for Zen, Gems and Excellent Grade items. For more information regarding Webzen games, head on over to webzen.com for these games and more. While this game isn't celebrating any Halloween events, having a free-to-play horror shooter now available through Steam is definitely newsworthy, especially this time of year. If running around in games that make you screech and shake in your shoes is more your style over collecting pumpkins, head on over to Steam and get your scare on with F.E.A.R. Online. The Revenge of Kaprima is back and players can once again queue up for the level 60 dungeon, Fane of Kaprima. Players can conquer the Banquet of Blood, slay some vampirs and get a chance for a Miss Katonic pet. Enter the Eldritch Academy to defend a cauldron from sugar-crazed childr...er, monsters. 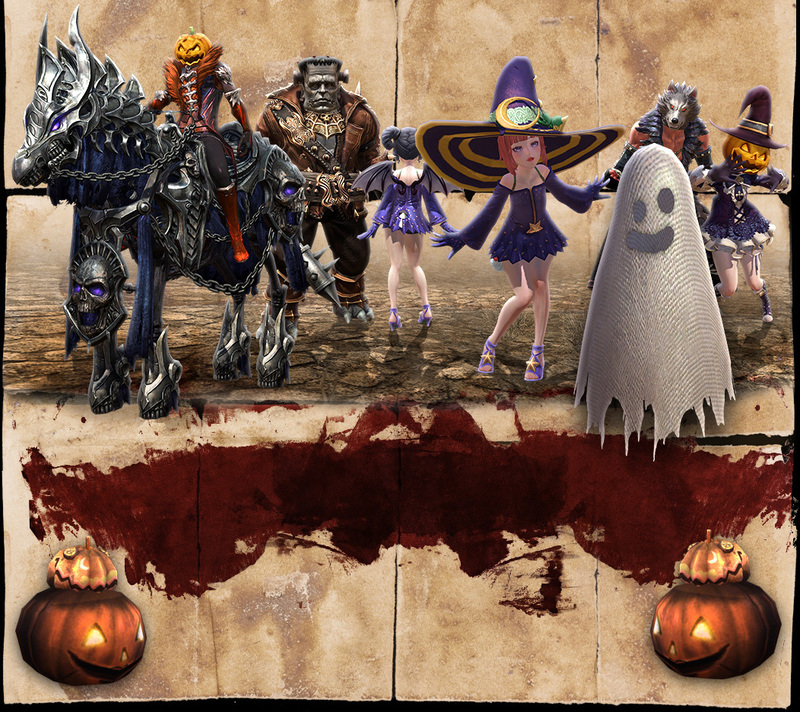 Players will be able to earn tons of different rewards in TERA, as well as grab some Halloween outfits from the store. En Masse has a dedicated page for Halloween in TERA. What games will you be celebrating Halloween in? 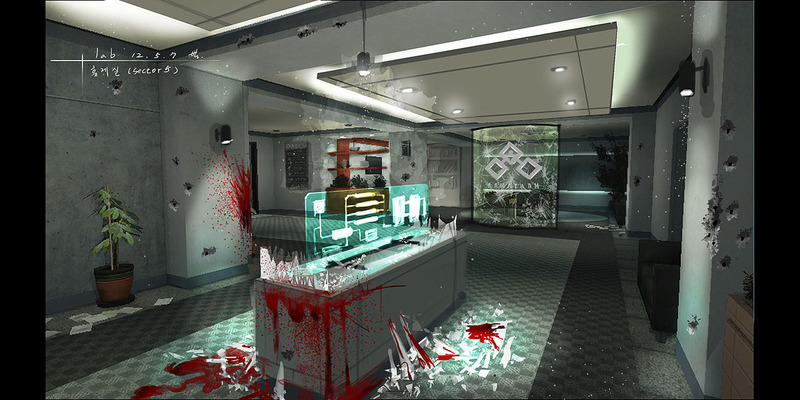 To read the latest guides, news, and features you can visit our F.E.A.R. Online Game Page.